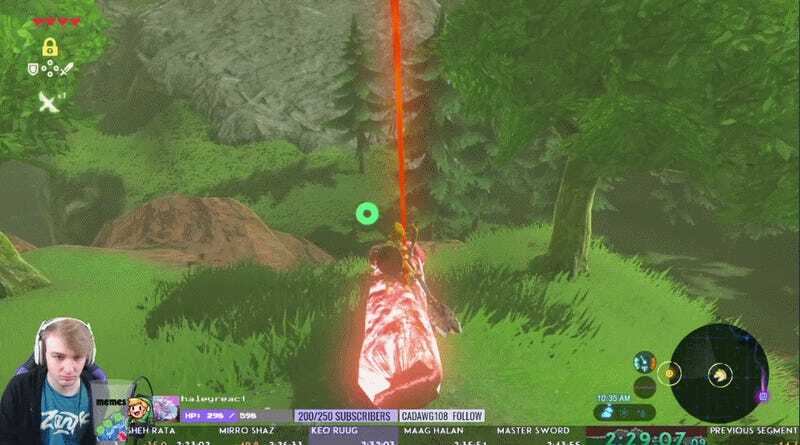 Last night speedrunner Zant was attempting a Master Sword RTA run of The Legend of Zelda: Breath of the Wild when the log he was flying on decided to reverse direction and wreck him instead. His eventual time of 2:42:27 was still good enough to earn 7th place in the category overall (the Master Sword RTA run only includes getting the weapon, not actually defeating Ganon) but it could have been several minutes better if the game’s physics didn’t decide to go haywire on him. “What the F...” he said breaking into a fit of giggles. “That’s never happened.” This isn’t the first time a log has acted up on a Breath of the Wild player, but it’s definitely one of the most violent. 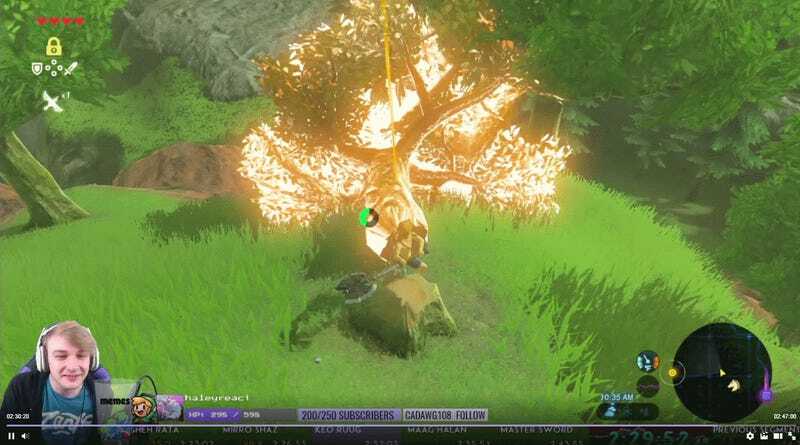 His time was botched and after reviving he immediately messed up on another tree launch (for the uninitiated, Breath of the Wild speedruns revolve around hammering objects to store up kinetic energy and then ride them once they lauch into the air in order to traverse long distances quickly). In his stream though, Zant said he wasn’t even upset. “So worth for the memes,” he said, telling viewers he was going to recommit himself to not getting hit by flying trees. Later in the night his practice and luck paid off, achieving a better time of 2:33:50. He still has a ways to go in order to match cookiepocalypse’s significantly faster first-place record of 2:13:06 (although that time used an Amiibo). Speedrunning is about trial and error, however, and discovering bizarre anomalies in how games operate is what makes it all worth it.